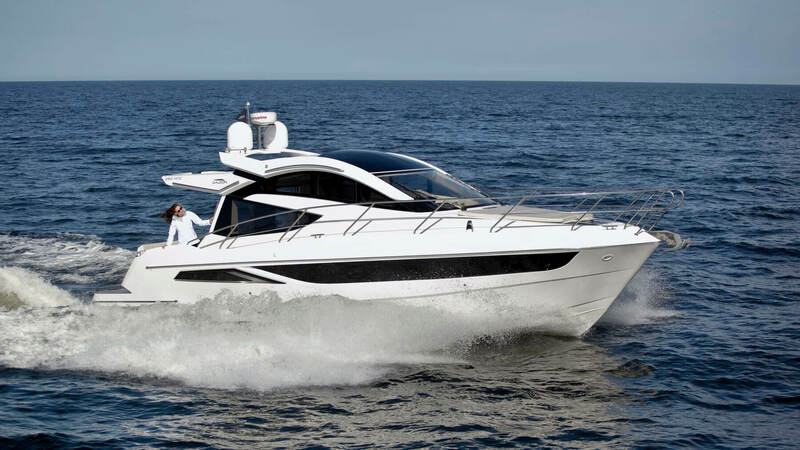 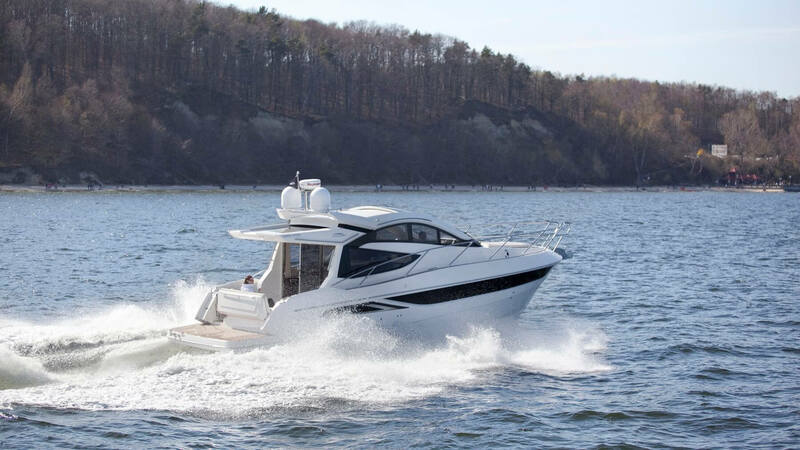 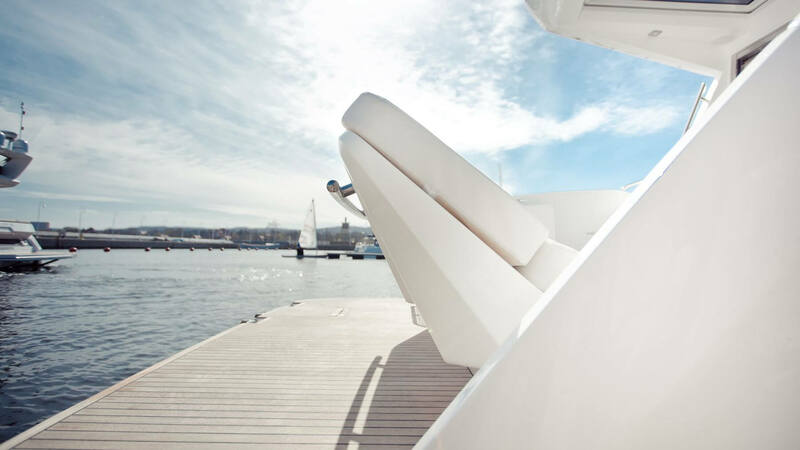 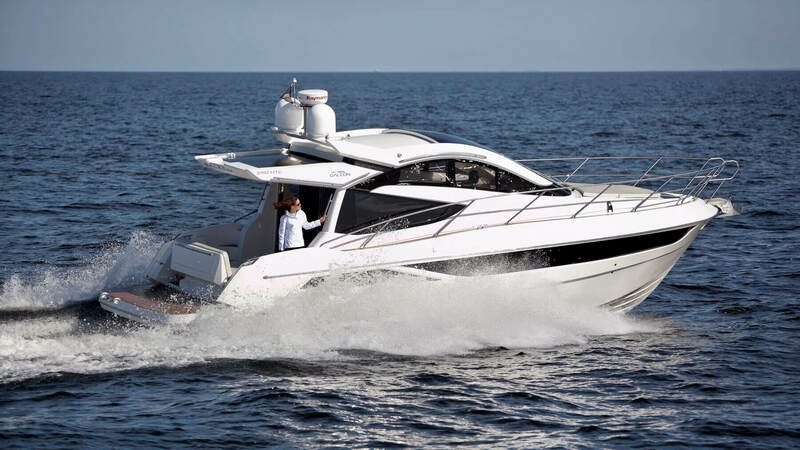 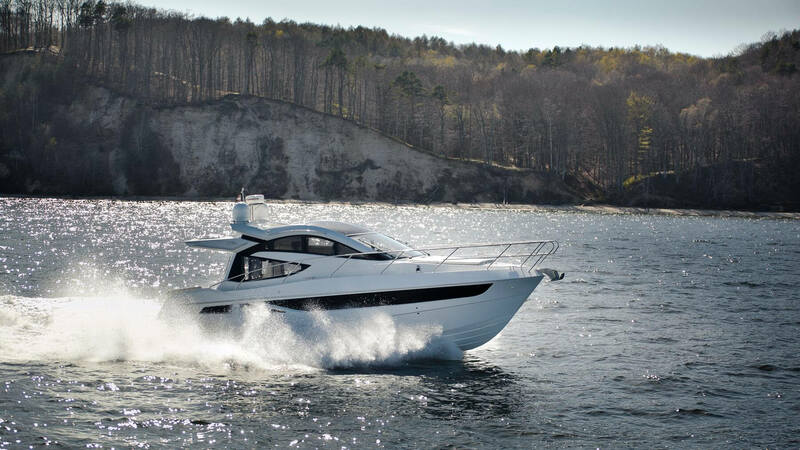 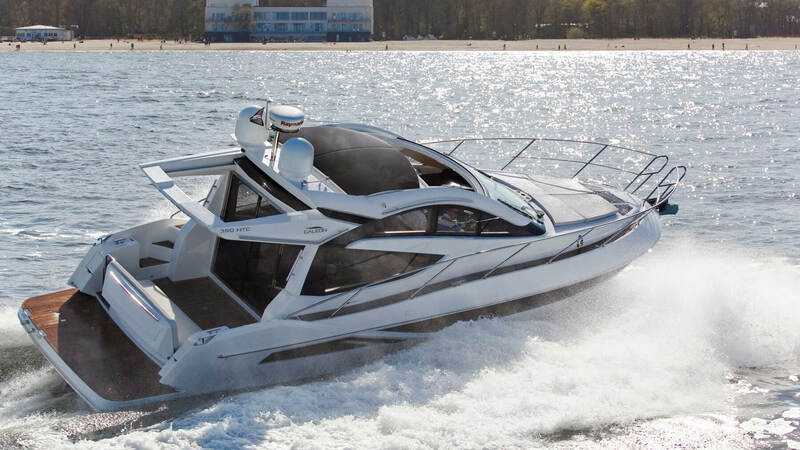 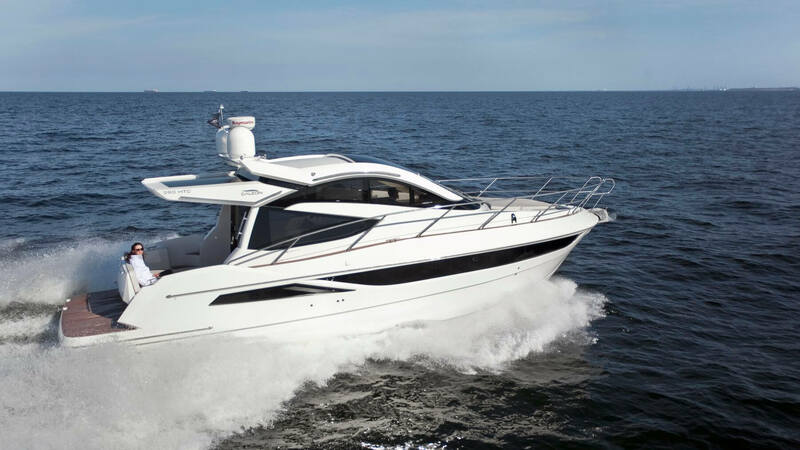 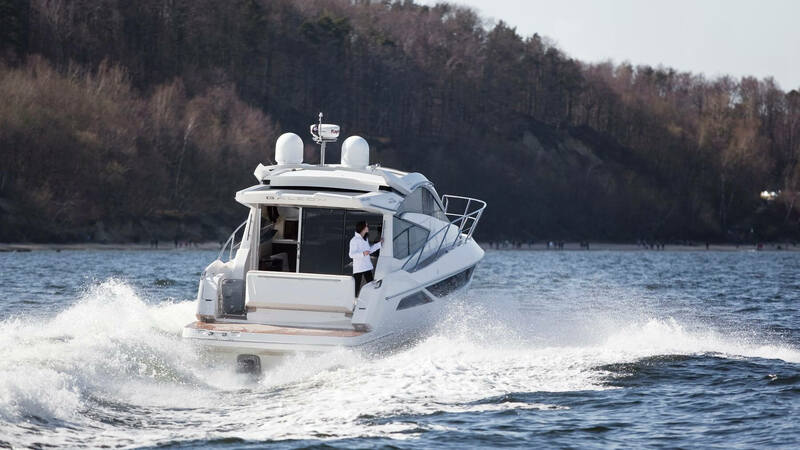 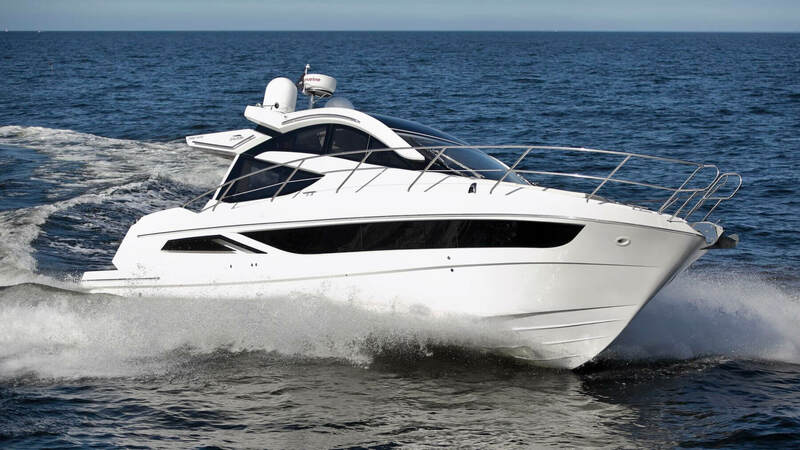 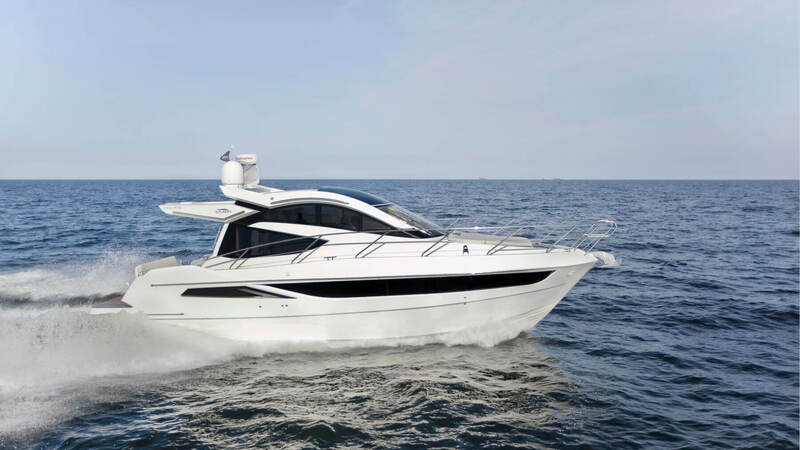 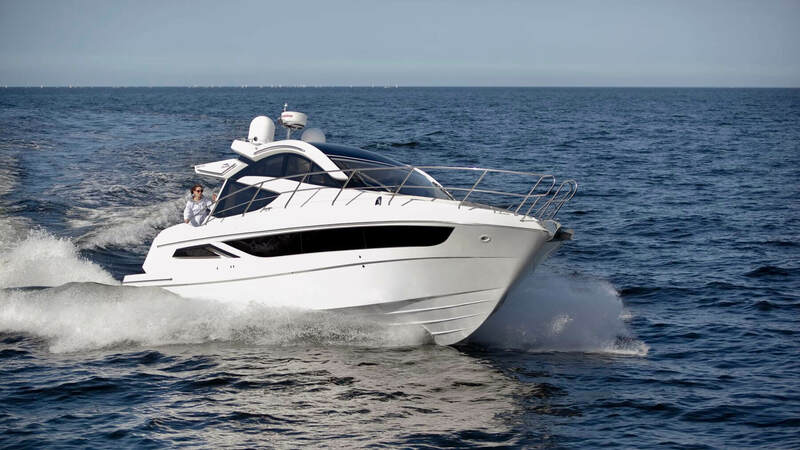 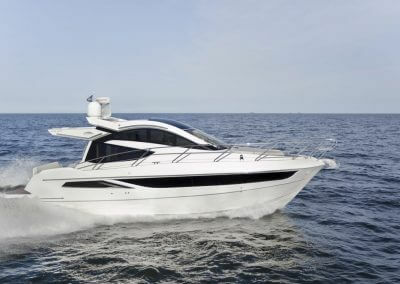 Based on the hull of the successful 380 Fly, the hardtop offers a distinguishable, sporty exterior matched by its quality interior. 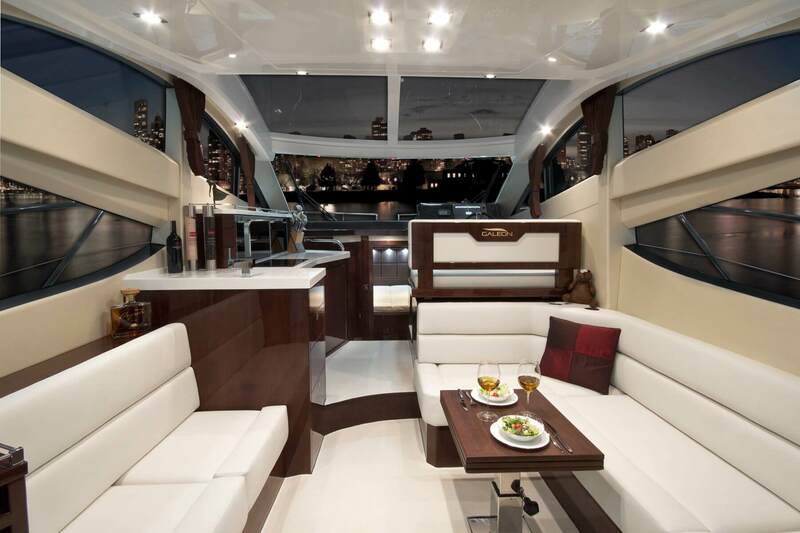 A huge glass roof, 390 Htc’s most prominent feature, flushes the main deck with natural light and opens with a touch of a button. 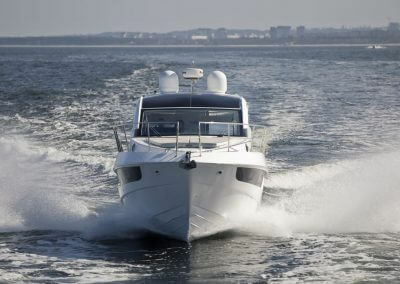 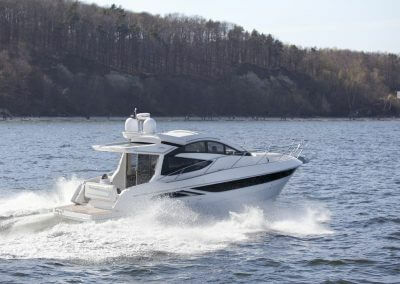 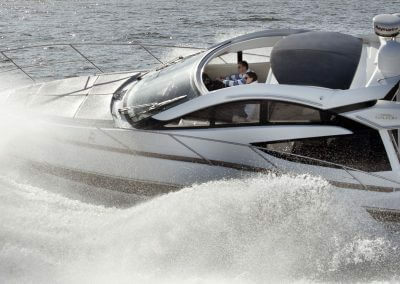 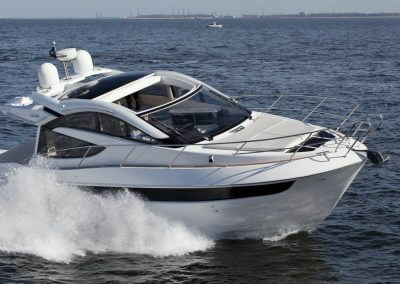 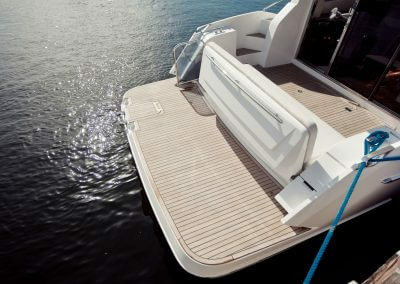 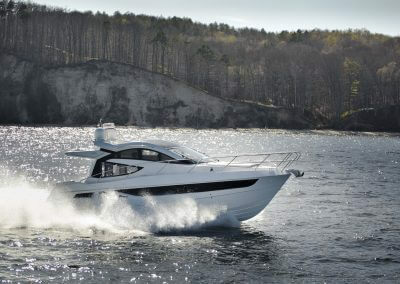 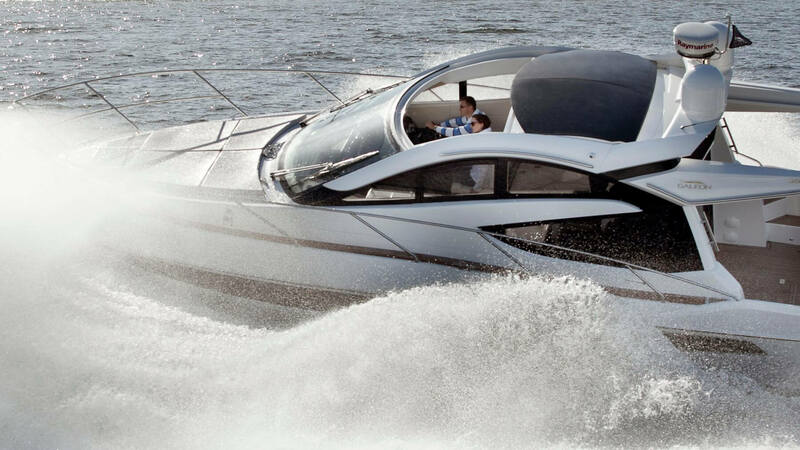 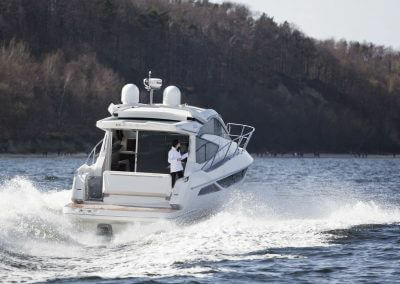 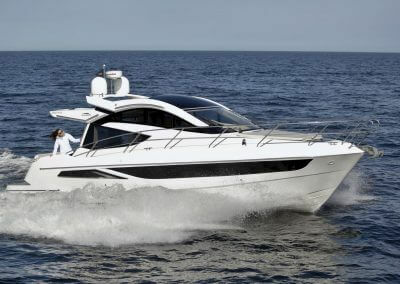 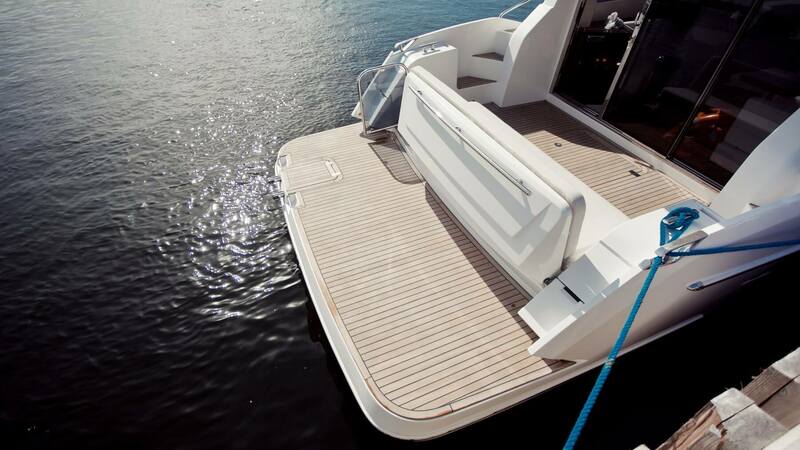 With the roof out of the way everyone on board can enjoy the breeze and sunshine as they cruise along. 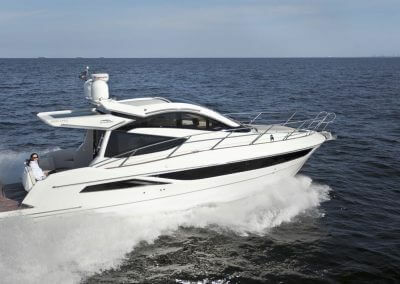 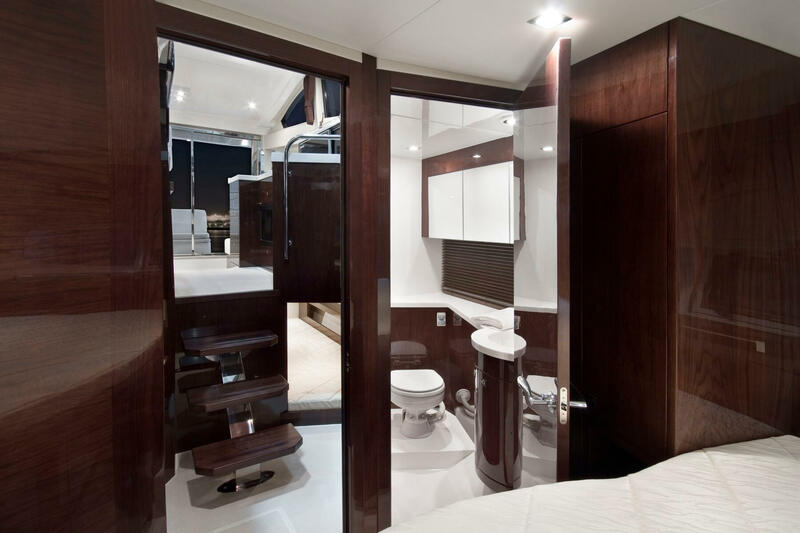 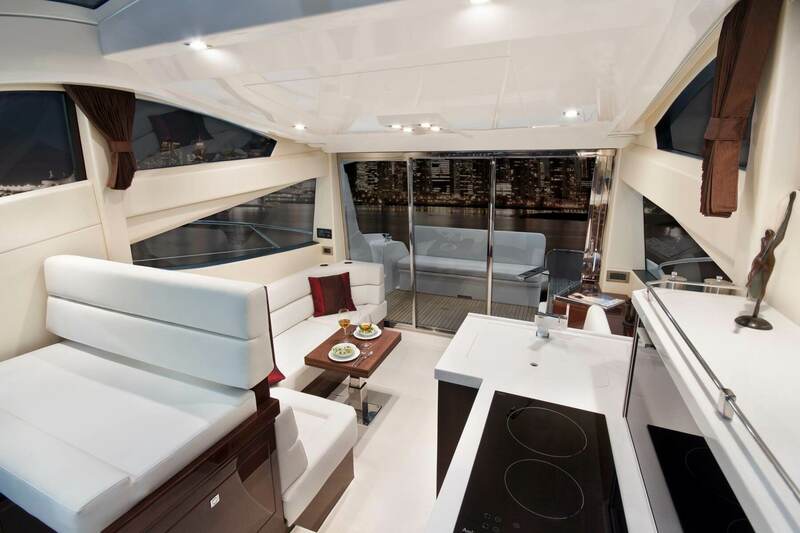 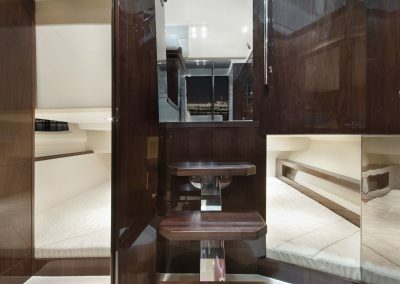 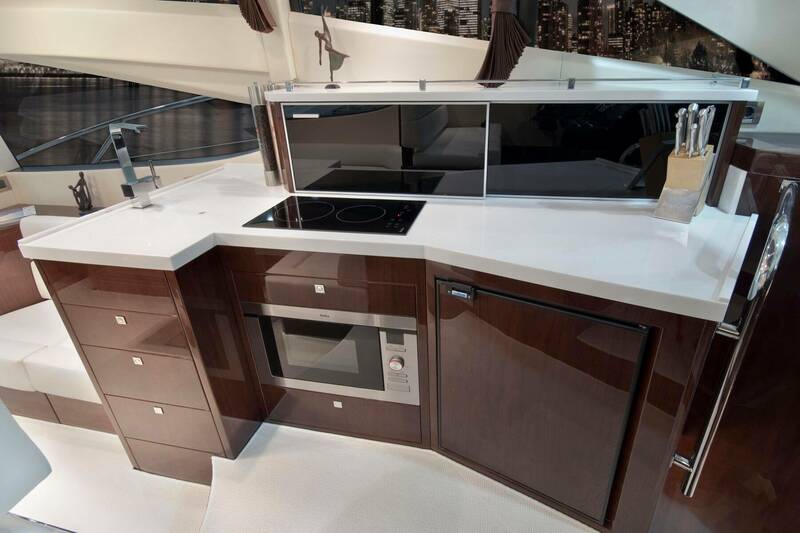 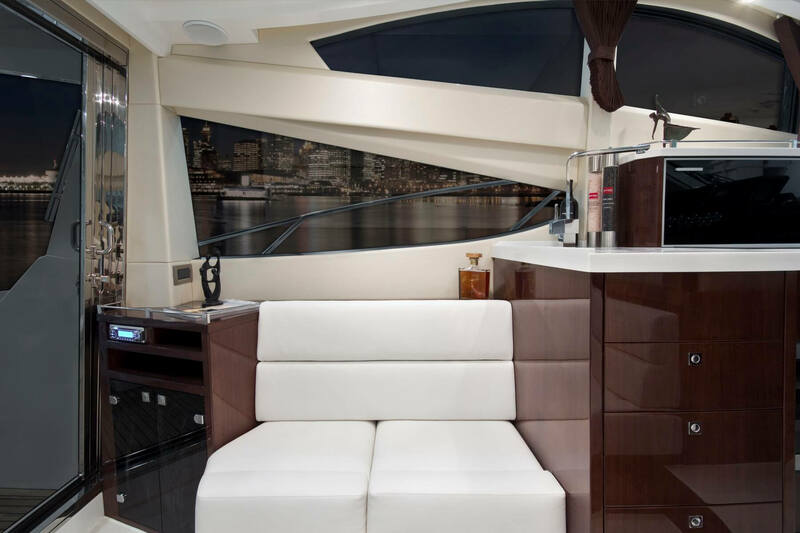 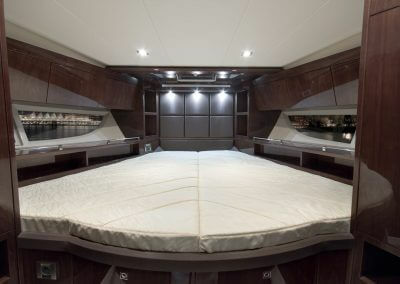 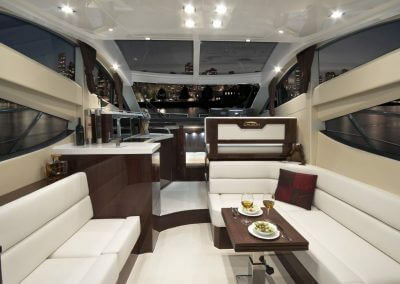 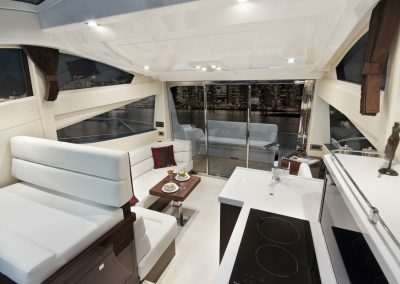 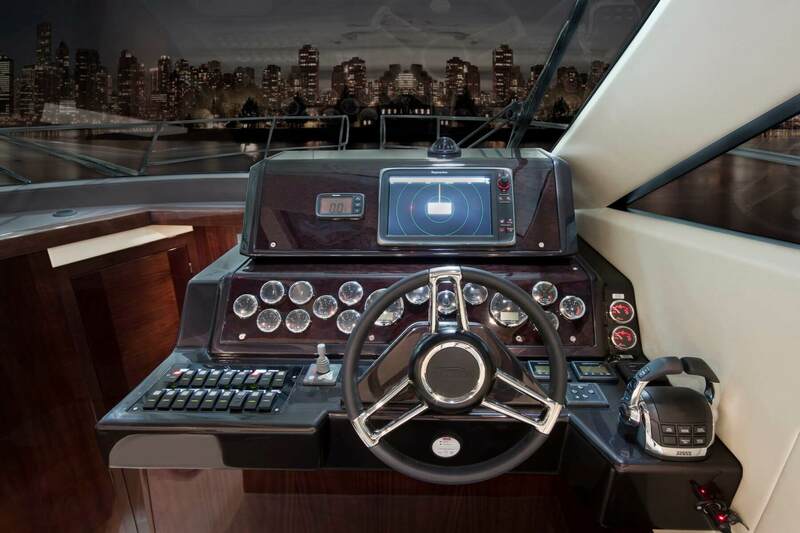 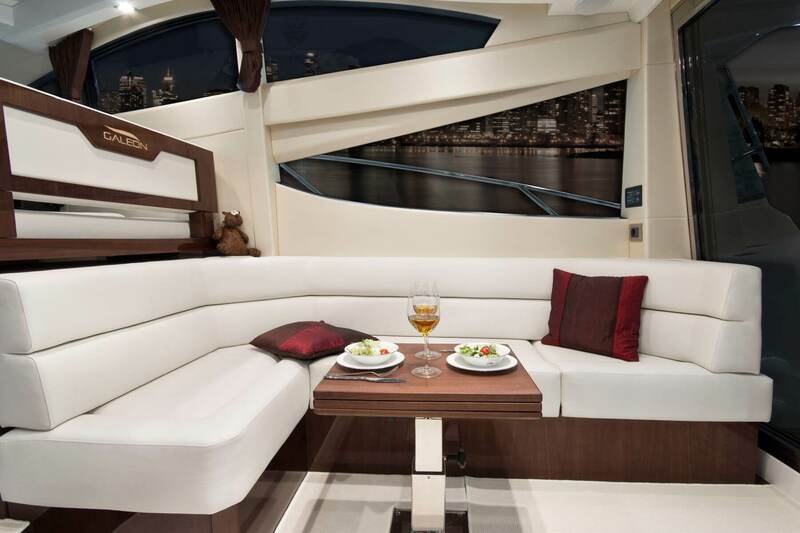 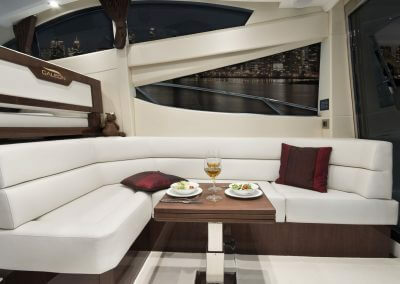 The saloon is surrounded by windows and holds a helm station, galley and dinette, plus plenty of stow away space. 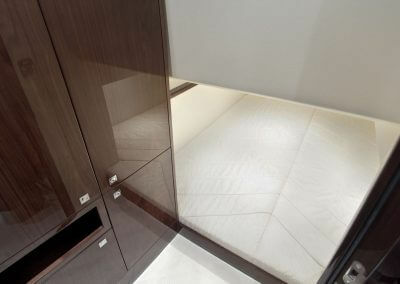 Several interior design lines, with a choice of fabrics and a long list of additional equipment will allow to create endless variations to suit all needs and purposes. 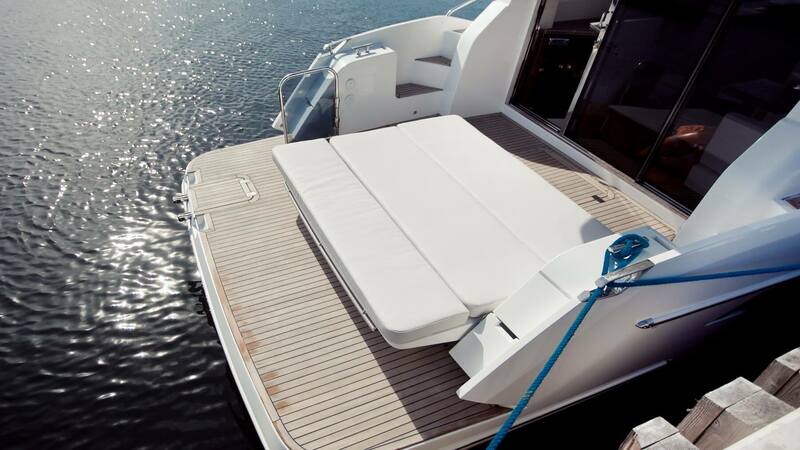 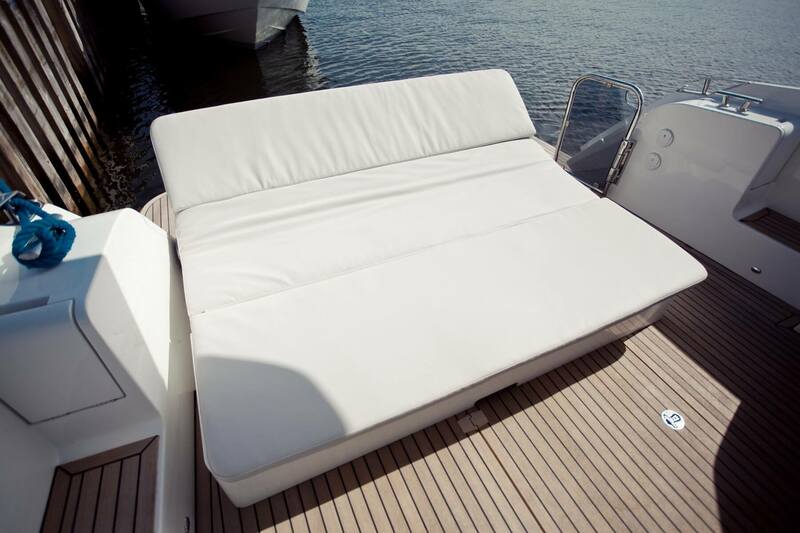 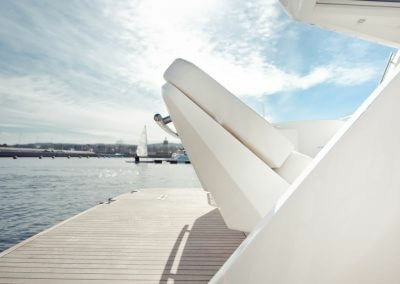 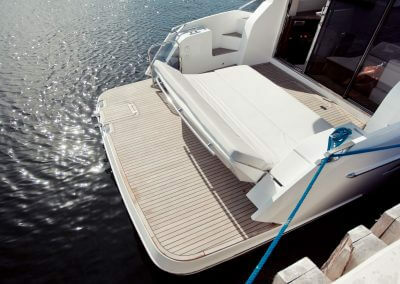 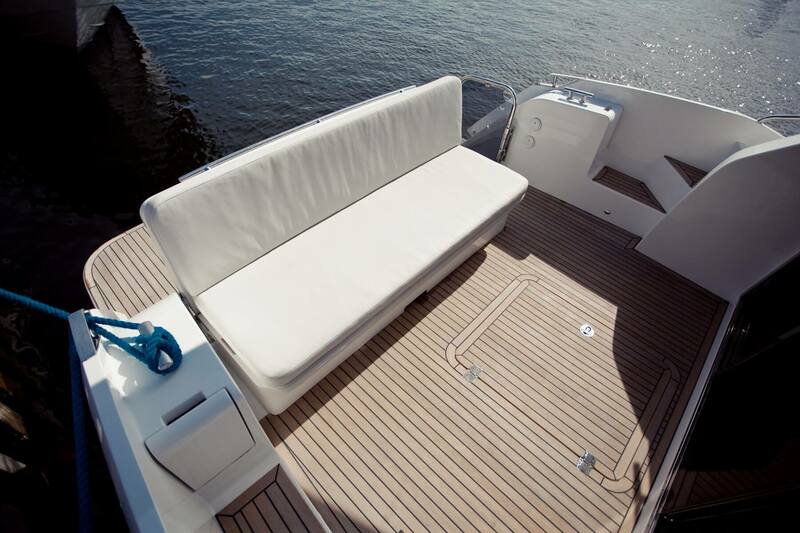 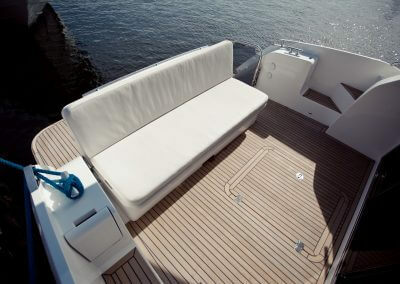 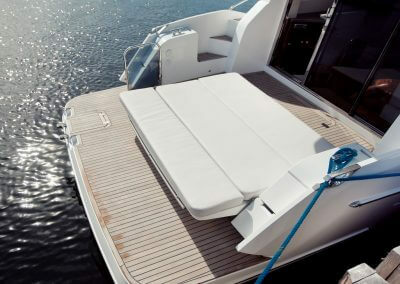 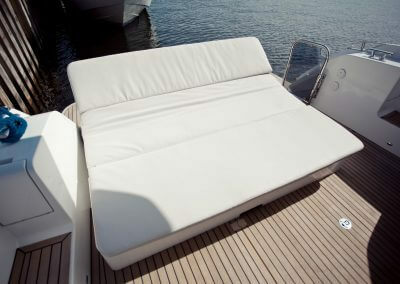 The transformable aft settee occupies the cockpit space, and can be quickly turned into a large sun lounger to fully utilize the retractable sunroof above. 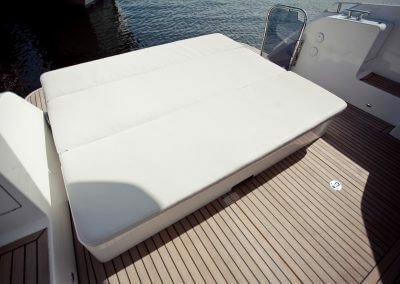 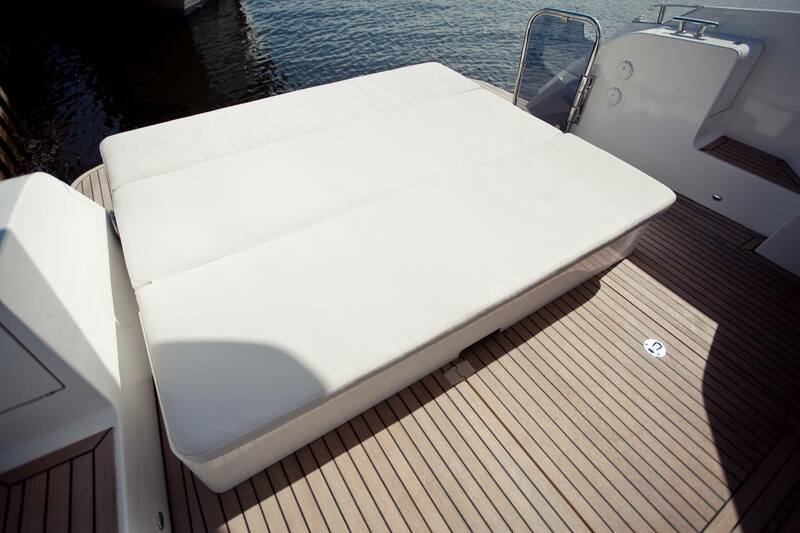 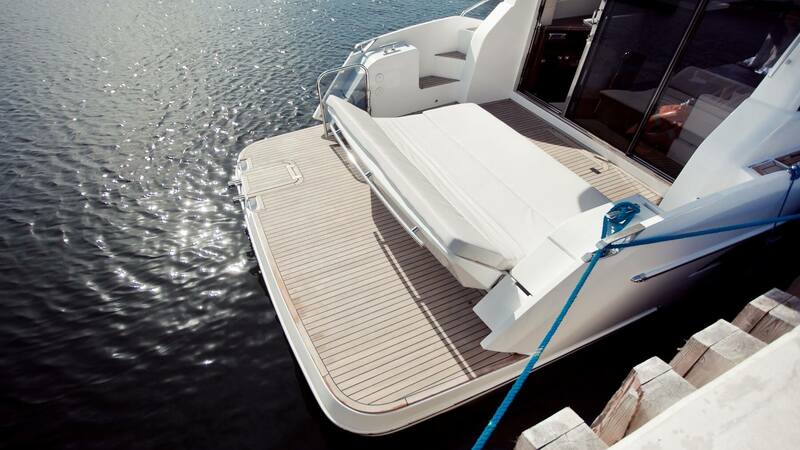 Wide side decks lead to the bow leisure area complete with two mattresses best suited for sunbathing. 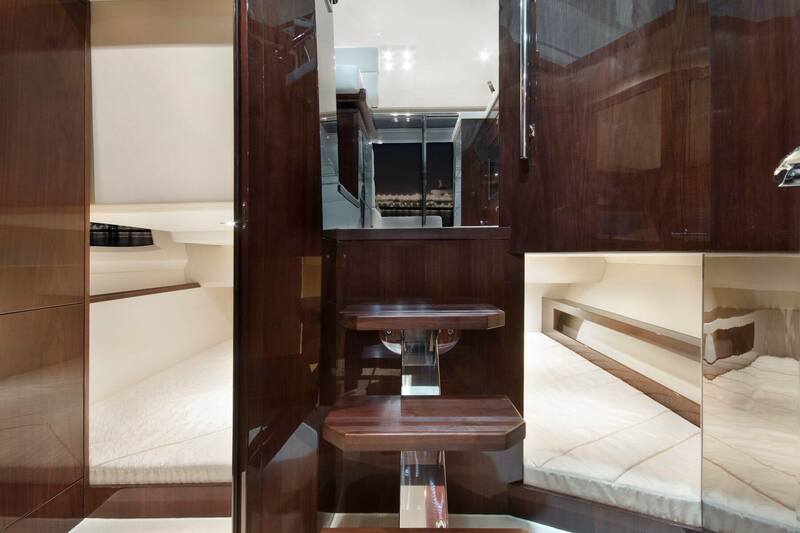 The cockpit doors slide with ease to reveal a bright and welcoming interior of the main deck. 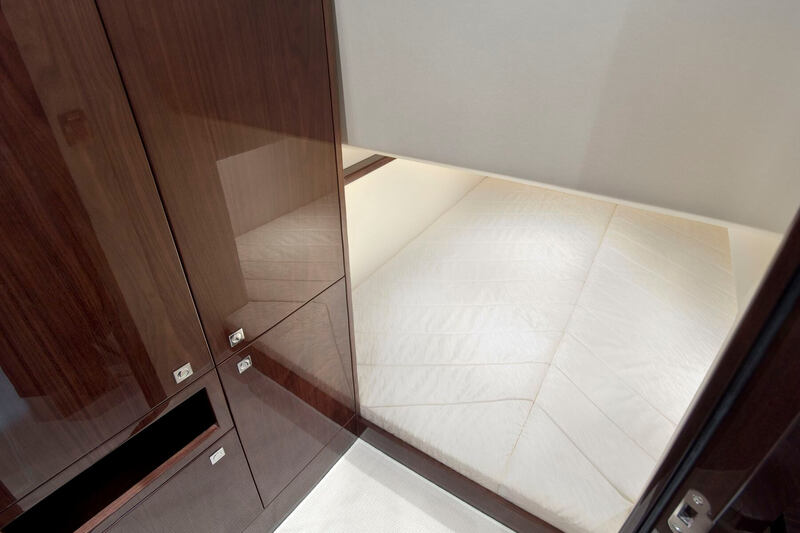 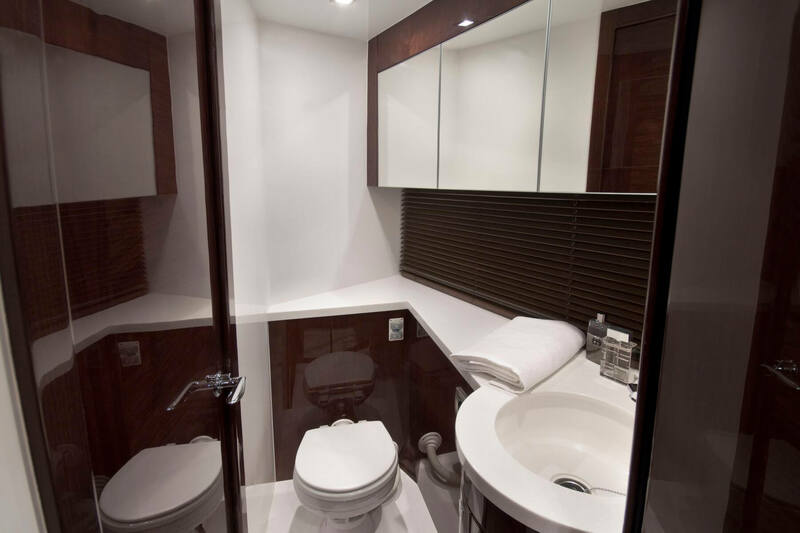 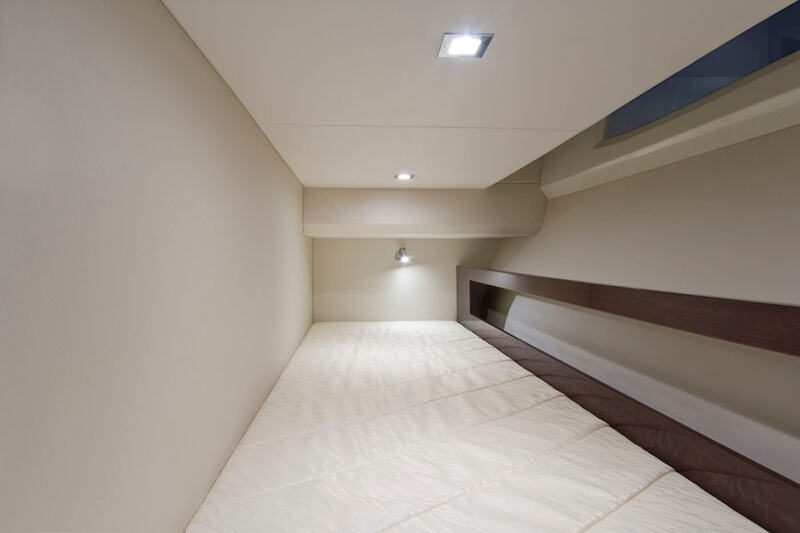 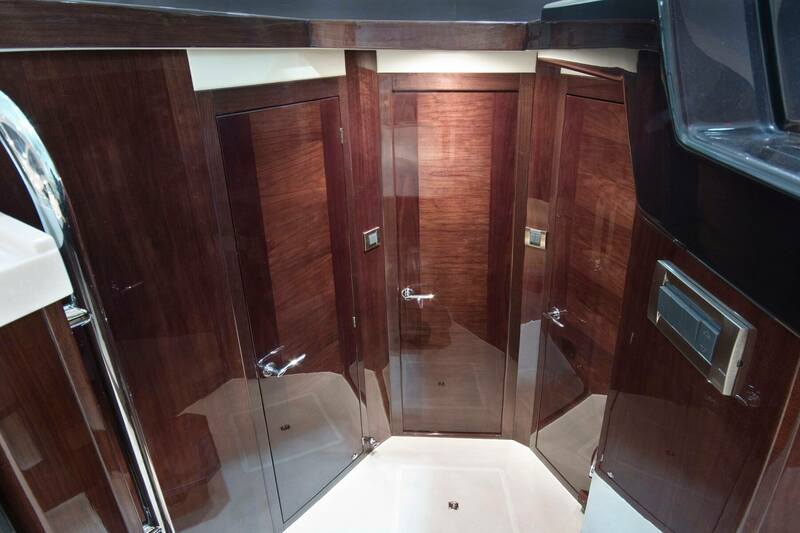 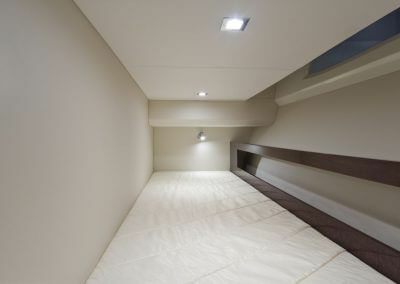 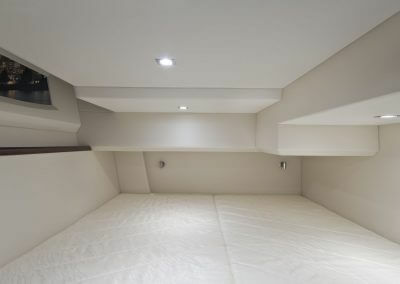 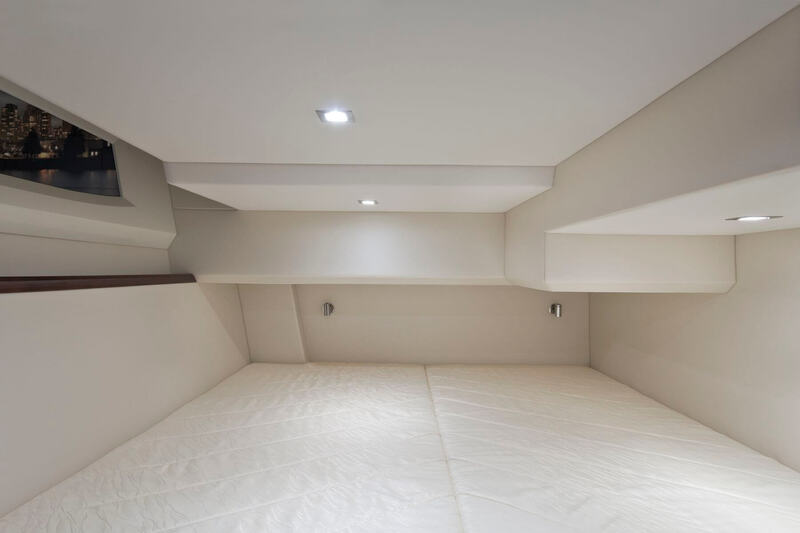 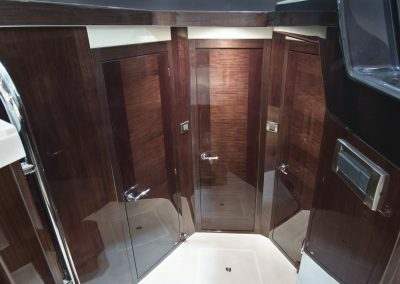 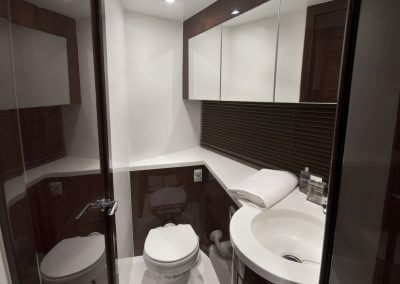 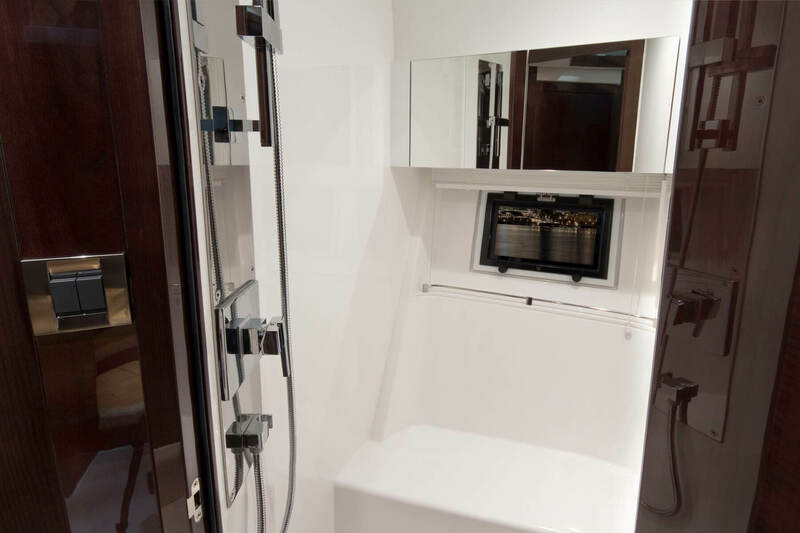 Below deck, two or three guest cabins are located along a separated head and shower facilities for extra privacy and comfort. 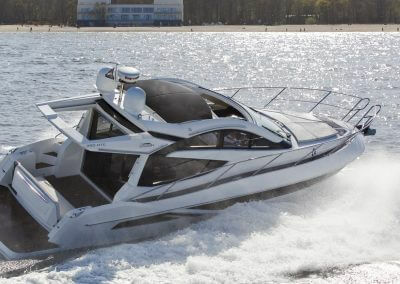 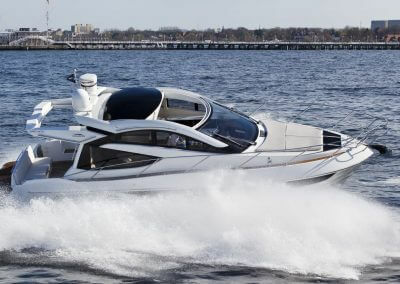 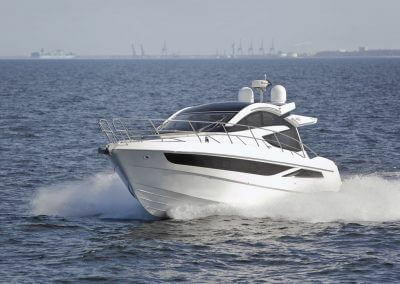 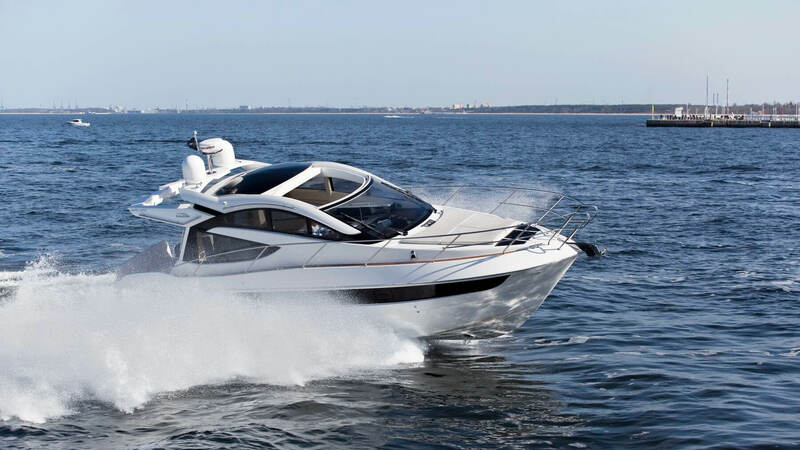 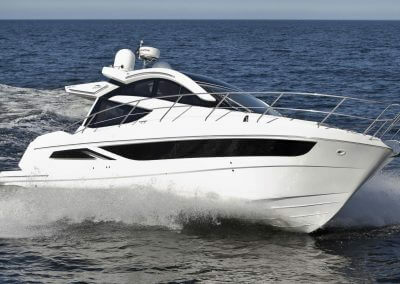 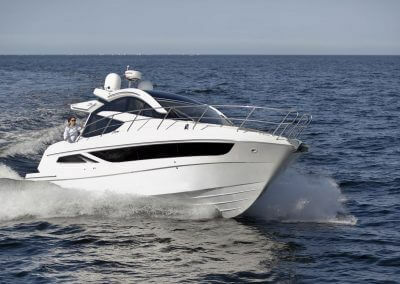 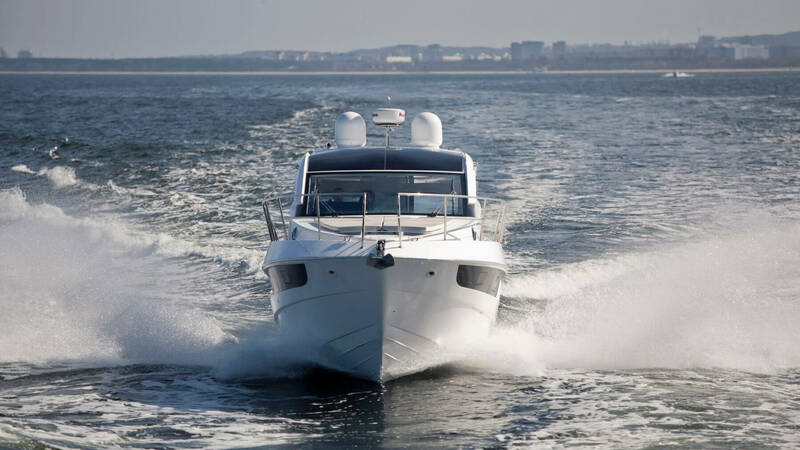 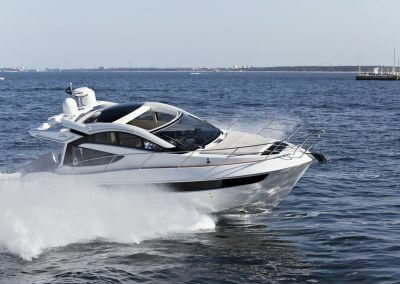 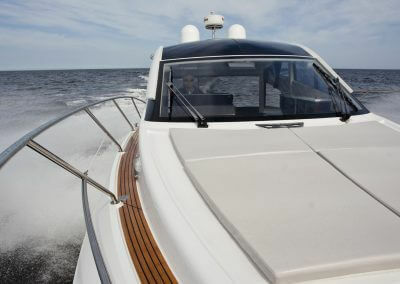 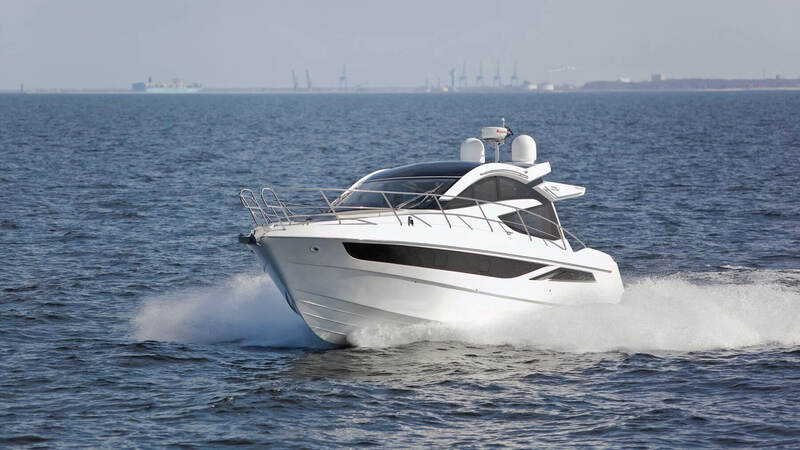 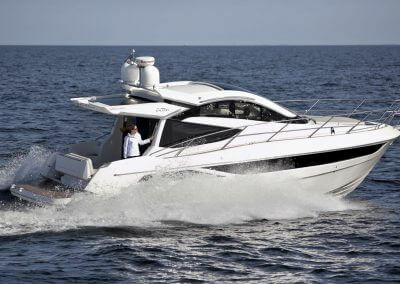 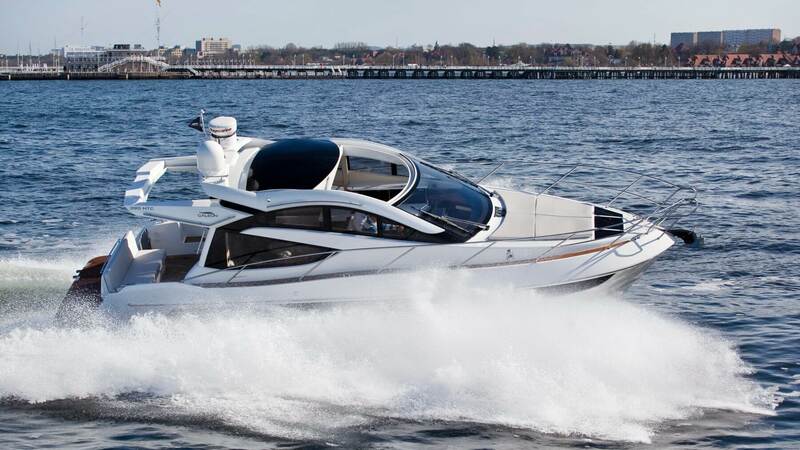 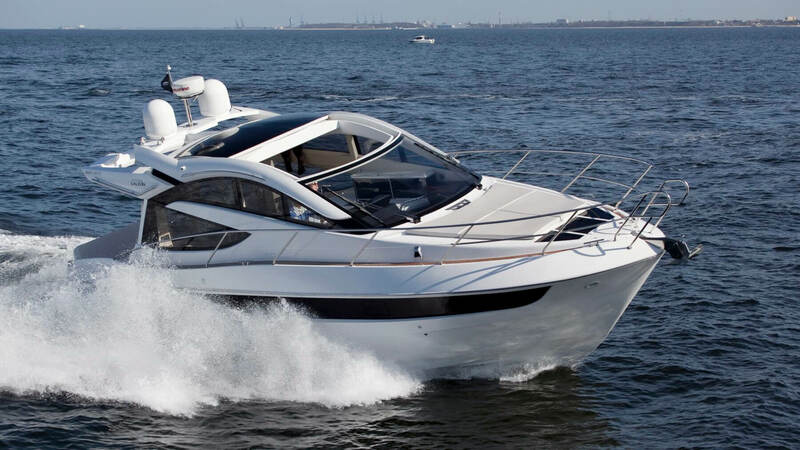 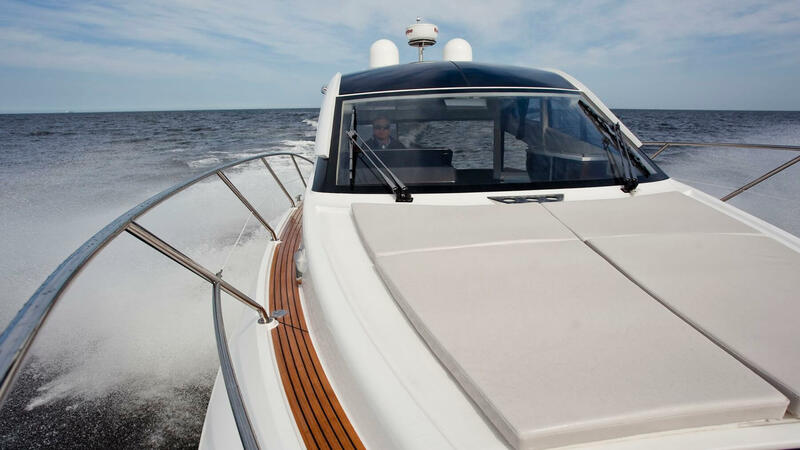 A wide variety of engines completes the package that is sure to please both sport enthusiasts as well as fans of relaxed cruising.